Nothing original, but a solid, well-made chunk of retro-flavored classic action. ...A lower-key, modern-day version of The Dirty Pair. Rally Vincent is a skilled gunsmith and a crack shot with a pistol. May "Minnie-May" Hopkins is a pint-sized bombshell, in both looks and the way she handles explosives of every shape and kind. Together they make a formidable bounty hunter team--the Gunsmith Cats--and a hazard to anyone in the general area. After the pair nabs a gun runner, Elliot-Ness-wannabe Bill Collins approaches them with a simple proposition: Help the ATF or be charged with enough weapons violations for a small army. Given those attractive options, the Gunsmith Cats decide to go along with the scheme, but before long they're caught up in a deadly battle with a gun smuggling syndicate and the insane former KGB assassin in their employ. Now it's up to Rally, May, Bill Collins, and information-broker Becky to find out how high up the corruption goes before someone gets the drop on them. Gunsmith Cats (AKA GSC) is yet another of those women with guns OAV series, but it's an exceptionally good one. It's one of the few series in the genre that takes place in a semi-realistic modern world, making it both more serious than most modern-day crime anime and devoid of the bad science and weapon-ridden futures of series like Dirty Pair Flash and Burn Up! The relative realism (by action movie standards) and mix of serious action, classic American action movie funk (check out the vintage '70s-style intro), and light humor set it apart from most of the genre. The plot is standard action movie fare, but it's enough to get the job done and keep the pace up. The characters, however, are a particularly likable crowd, and the insane KGB agent provides a good, scary foil for the heavily-armed duo. Fans of Kenichi Sonoda's manga will appreciate how faithful their designs are to the originals. Rally even looks like she might be old enough to drink (according to the manga she isn't, but she doesn't look overly young, anyway). Also true to the manga is the mechanical realism--the vehicles are true-to-life and all the guns look and act realistically. Heck, if you watch Rally's pistol closely, all the parts even move more or less like the real thing. There's no question about the real draw of Gunsmith Cats, however: Top-quality old-school action that pays homage to the gritty action movies of the '70s. Lots of guns, some fun with a Shelby Mustang (that actually sounds like one for once), a hand-to-hand fight or two, and a few nice booby traps. It's exaggerated, but the action is solid and punchy, with several nice realistic touches--Rally always takes two shots, pro style, and all the weapons sound realistic. The animation is smooth, the art is appealing, and it's all rounded out with a funked-up soundtrack. In all, Gunsmith Cats is fun with guns (and grenades, and knives...), and has nice art and realistic animation to go with it. If you like girls with guns, Sonoda's work, or just enjoy a good action flick, GSC is worth a look. A three part OAV series based on a nine-volume manga series of the same name by Kenichi Sonoda (character designer for Gall Force and Bubblegum Crisis, among other things). 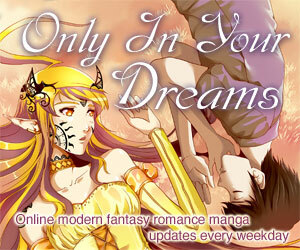 The manga is available in English from Dark Horse. There is also a five-volume sequel series, Gunsmith Cats Burst. Of note to fans of the manga, Bean Bandit does not show up in this series (a good thing in my personal opinion). Bean does have his own animated one-shot, though--Riding Bean, which is much older and one of AnimEigo's first releases. A prototype (and blonde) version of Rally appears in that OAV, but the two aren't actually connected in any way. Available in North America from ADV Films on an Essential Anime Collection re-release bilingual DVD. 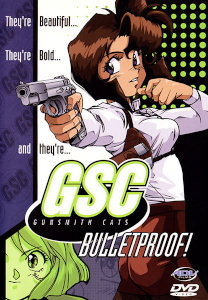 Was previously available on bilingual DVD or a single dubbed VHS volume called "GSC: Bulletproof." Before that, it was sold as three individual subtitled or dubbed VHS volumes, or three bilingual CAV LDs (with subtitles via a closed caption track). Gunsmith Cats is Copyright © 1995-96 Kenichi Sonoda / Kodansha - VAP - TBS. Any images are the property of their respective rightsholders, and included for review purposes only under the fair-use clause of US copyright law.